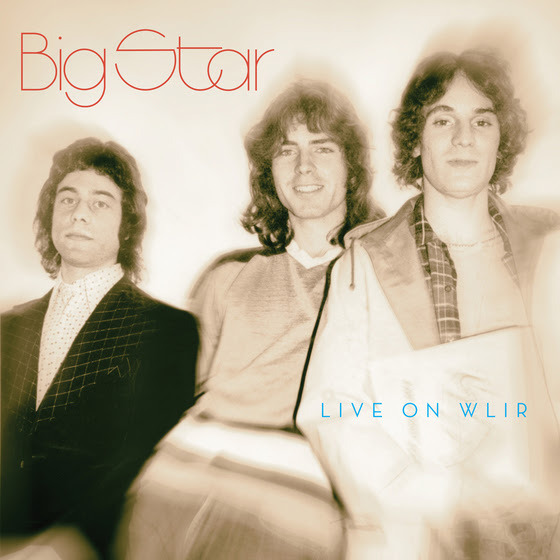 That Devil Music: Big Star’s 1974 WLIR sessions resurrected! Memphis power-pop legends Big Star released their classic sophomore album, Radio City, in February 1974, recording as a trio after the departure of founding member Chris Bell. Minus the overt pop sheen that Bell brought to the band’s material as a songwriter, Radio City features Chilton’s rock ‘n’ roll influences on gems like “September Gurls,” “Mod Lang,” “I’m In Love With A Girl,” and “Back of A Car.” The critically-acclaimed album didn’t sell particularly well, though it would later come to be considered a classic, influential work. To tour in support of Radio City, Big Star singer and guitarist Alex Chilton and drummer Jody Stephens were joined by John Lightman, who replaced the band’s original bassist Andy Hummel, who was returning to school. The trio subsequently recorded a session for broadcast by New York City radio station WLIR-FM at the legendary Ultrasonic Studios. That near-mythical session was later released under the title Live on CD by Rykodisc in 1992, but would be out-of-print by the end of the decade. On January 25th, 2019 Omnivore Recordings – those herald keepers of the Big Star flame – will release that legendary Ultrasonic recording on CD and double-vinyl as Live On WLIR. The fifteen-track set features material from the first two Big Star albums as well as a cover of singer/songwriter Loudon Wainwright III’s “Motel Blues.” Live On WLIR has been restored and remastered from the original tapes and features liner notes by Memphis native and music historian Robert Gordon (no relation) and includes an interview with bassist John Lightman by Rich Tupica, author of There Was A Light: The Cosmic History of Chris Bell and the Rise of BIG STAR. As Gordon writes in the album’s liver notes: “Alex is, in this trio, playing all the guitar and singing lead, and he’s giving it about all he’s got. The road and the march of time eventually wore down that Alex, as time wears on all of us. But this recording is a clear window into the impenetrable past, making it a thrill today to hear Alex so young and enthusiastic.” Check out the complete tracklist below and watch Omnivore’s video trailer for the album before sprinting over to Amazon.com to buy a copy of Big Star’s Live On WLIR on your choice of formats.